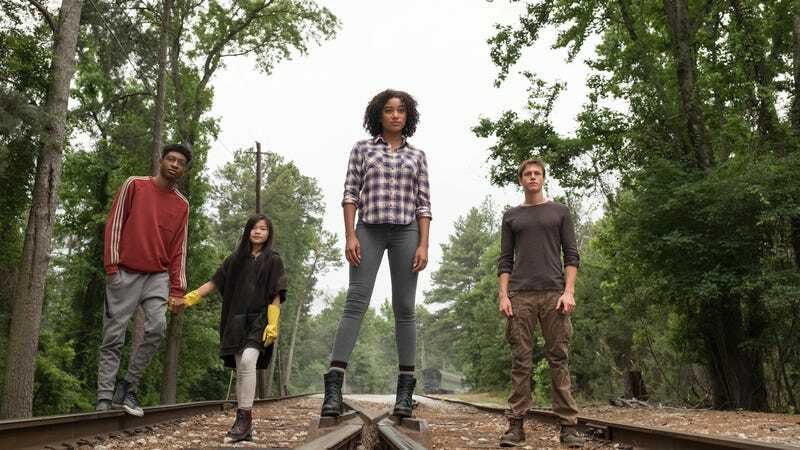 There’s a scene in The Darkest Minds, Hollywood’s latest attempt to turn a teen-lit bestseller into a multiplex sensation, where the heroes literally compare themselves to Harry Potter. Well, one of them does, anyway. Her name is Ruby (Amandla Stenberg, a veteran of this genre, given her role as Rue in the original Hunger Games), and she’s a powerful 16-year-old telepath on the run from the hostile government of a dystopian American tomorrow. Ruby and her super-powered friends have found an encampment of fellow gifted youngsters—a gathering that reminds her of a certain school for witches and wizards, and which prompts her prototypically hunky and understanding love interest to identify himself as Ginny Weasley. The whole exchange is supposed to land like a moment of winking levity—and to be fair, it does count as the most relatable and least expository conversation these characters have over 105 very long minutes. But bringing up J.K. Rowling’s famous boy wonder is a choice more self-defeating than self-aware. Comparisons, after all, don’t tend to flatter movies as derivative as The Darkest Minds, a generic and frankly very tedious compendium of YA clichés. Anyway, Ruby would fit in better at Xavier’s than Hogwarts. Her X-Men-worthy powers come from a mysterious virus that’s wiped out most of the country’s under-18 population; the minors who survived have acquired unusual abilities, coded by the color their eyes glow whenever going full mutant: Greens are very smart (hilariously, just getting an idea can cause their peepers to sparkle), Blues are telekinetic, the demonized Oranges can control people’s minds, etc. Boringly limiting the effects spectacle, this hierarchy of only five basic skillsets mainly exists to provide the material a Divergent-style caste system and pointless romantic obstacles of the “How could a Blue ever love an Orange?” variety. Ruby, incidentally, is an Orange, but because that makes her so powerful that the bigwigs would terminate her without a second thought, she disguises herself as a Green, before escaping confinement and joining up with some other special youths, on the lam and in search of a fabled safe haven for their kind, like the adolescent mutant runaways of Logan. Based on Alexandra Bracken’s hit book series (the most recent installment dropped just three days ago), the film opens with the U.S. government ripping children away from their parents and shipping them off to internment camps—a prologue that can’t help but evoke some very real headline horrors. But it’s by mere unhappy accident, not design, that The Darkest Minds briefly looks like disturbingly topical allegory. For the most part, it just plays the YA hits. Ruby’s C-list Generation X includes a preteen human battery (Miya Cech), a comic-relief geek genius (Skylan Brooks), and the token strapping brooder (Harris Dickinson); there’s not a compelling personality in the whole lot of them, though Dickinson, who was so magnetic as the closeted Coney Island lothario of Beach Rats, does valiantly struggle to find a character in the archetype he’s playing. (Even when his eyes are glowing a chintzy CGI blue, you can see the wheels turning behind them.) Meanwhile, most of the cast’s familiar faces—Mandy Moore as the only sympathetic grown-up, Gwendoline Christie as a bounty hunter on our posse’s tail, Bradley Whitford saying two lines as the president—deliver performances that imply a begrudged favor to the film’s producers and/or a free afternoon for an easy paycheck. From its murky digital photography to the rotating backdrop of the most affordable shooting locations in or around Atlanta—gas stations, malls, motels, nondescript military bunkers, nondescript forests—this is a very cheap-looking sci-fi melodrama. Making her debut behind the live-action camera after directing the Kung Fu Panda sequels, Jennifer Yuh Nelson botches the action scenes, including a car chase so incoherently staged that it becomes difficult to track the movements of only three vehicles on a desolate stretch of road. Not that the YA-by-numbers material is often played for thrills anyway. Like most pubescent superhero stories, it’s an adolescent fantasy: What are Ruby’s Jedi mind tricks but a way to turn the tables on an adult world trying to control her every action? That’s not a bad itch for a teen-friendly fantasia to scratch. 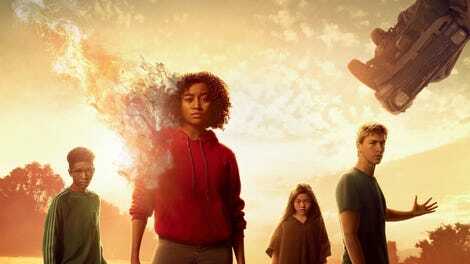 But The Darkest Minds is such a formulaic hodgepodge of secondhand plot points that it can’t help but feel like an insult to its target demographic: just another case of adults trying to manipulate kids, this time by bilking them out of their allowance.